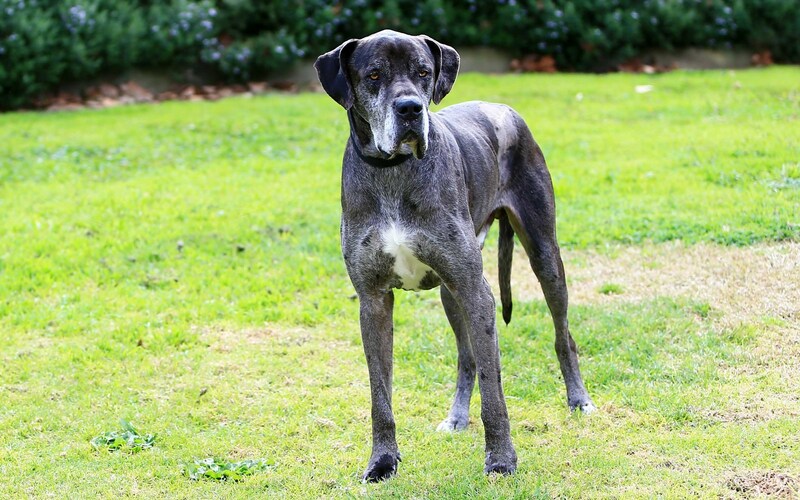 Two weeks ago we introduced you to Prince Frederick (or Fred for short), the gentle Great Dane who came to us severely emaciated and needing surgery to remove a tumour from his back. When he arrived it was clear that he would need a little extra TLC with a foster carer to gain some much needed weight. And what a difference two weeks makes! After spending some time with Foster Carer and Adoption Nurse with The Lost Dogs’ Home, Rebecca, Fred is back at The Lost Dogs’ Home and is ready to find his brand new home. According to Rebecca, Fred thrived during his time in foster care. “Fred settled into his temporary home fairly quickly and did all the things he needed to do while in foster care, especially eating well to gain some much needed weight. 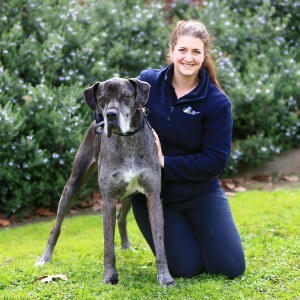 “He has now gained 12 kilos and has fully recovered from his surgery; the vet team at Frank Samways Veterinary Clinic are very happy with his recovery” said Rebecca. While it has been hard to say goodbye to the affectionate gentleman, Rebecca is looking forward to helping Fred find his new home. “Fred’s perfect home is with a family who is willing to make this beautiful, big boy a part of their everyday life; he loves being your shadow. “He will need to go into a home where his new owners are understand the needs of a large breed dog as he does have a large food intake; but above all else Fred needs to find someone to love him, because that is all he wants,” explained Rebecca. Do you think that you are the perfect match for the grand gentleman? If you would like to meet Fred in the fur you can visit him at the Home’s North Melbourne Shelter at 2 Gracie Street, North Melbourne. With Spring nearly upon us we’re in need of at least 100 new foster carers to help us care for companion animals in need. Often foster animals come to us with unknown histories and can be more vulnerable than other dogs and cats in our care. Like Fred, these animals need some extra TLC before they return to the Home for adoption. Do you think you could open up your heart and your home to care for our cats, dogs, kittens and puppies needing a little extra care? You can help make a difference to animals in need like Fred.